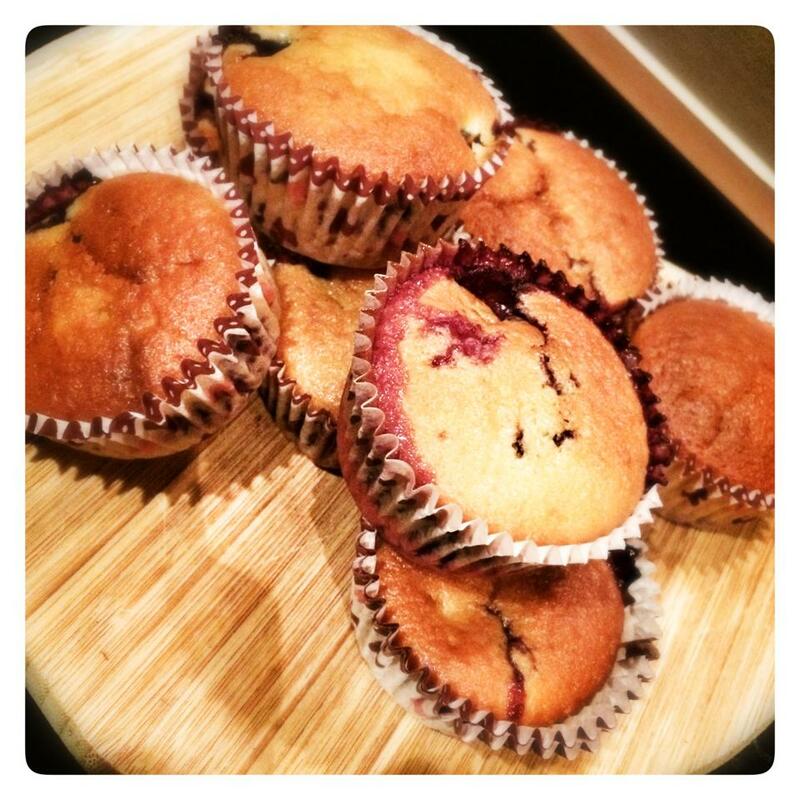 After posting my Raspberry and White Chocolate Muffin last week, one of the lovely ladies in a Weight Watchers group put in a special request for what used to be her favourite muffin…Lemon Curd Muffins! Not one to resist a challenge I thought I would set about adapting my other recipe and this is the result. These are lovely, light and fruity muffins which have a lovely Eastery feel. I’ve added blueberries to the mix as I love a bit of fruit and colour but feel free to leave them out if you don’t fancy them. So Kay Lancashire, these are for you! If you have a mixer or food processor the whole thing can be done in there, if not, do it in a nice big bowl. Pre heat the oven to 200c. Line a muffin tin with 12 muffin cases or 16 cupcake cases. Begin by beating together the spread and sugar until light and fluffy. Then add the eggs and yoghurt and mix together again. Then add the flour, bicarbonate of soda, vanilla and lemon zest and juice and beat until well combined. If you are using a food processor, transfer to a bowl at this point. Fold in the blueberries until evenly distributed. Half fill each muffin case, then add ½ tsp of lemon curd to each, then top with the remaining batter mixture. Pop in the oven for 20-25 minutes until nice and golden. Hi Laura,do you know the slimming world syns for all your recipes? I have a very sweet tooth, most of the SW cakes/puddings look better then they taste! I would love to try all your recipes but I don’t know how to work the syns out,please can you help?